Cicioni Radiator recently had a "perfect storm" of very large radiator projects, all at the same time. Regardless of size, the Cicioni team can meet your needs. Since 1957, Cicioni has been repairing all types and sizes of radiators, charge air coolers, oil coolers, condensers and more! Since 1957, Cicioni has specialized in providing new products and repairs for all types and sizes of radiators, charge air coolers, oil coolers, condensers and much more! With a full line of parts to minimize downtime and expert mechanics on staff, Cicioni can save you time and money. Our lead time is measured in days, not weeks. A photo composite of a recent radiator repair job performed for a client in Bermuda. The best place in the U.S. to take a leak! Cicioni Radiator has one of the largest in-stock radiator supplies in the U.S., ready to ship from multiple warehouses. When you need a new radiator, time matters. 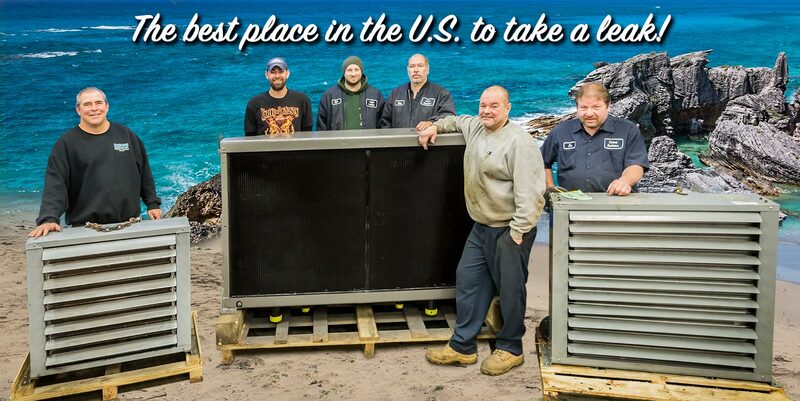 That's why Cicioni Radiator has one of the largest in-stock radiator supplies in the U.S., ready to ship from multiple warehouses. 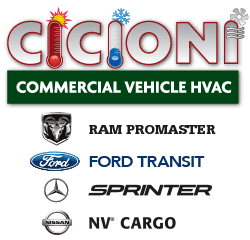 From commercial vehicles to bus fleets, tractor trailers and passenger vehicles, Cicioni is the trusted service center for air conditioning needs. Since 1957, Cicioni Inc. has been meeting the needs of northeast Pennsylvania business and industry by offering sales and service of radiators, air conditioning, and collision parts. Cicioni has more than 60 years experience and is an expert in the fields of design, manufacture and installation of a wide range of heating, air conditioning, and oil cooling systems for all off-road, bus, rail, and military vehicles. And when one of our customers’ vehicles go down, we have technicians ready to respond and get you back up and running in no time. 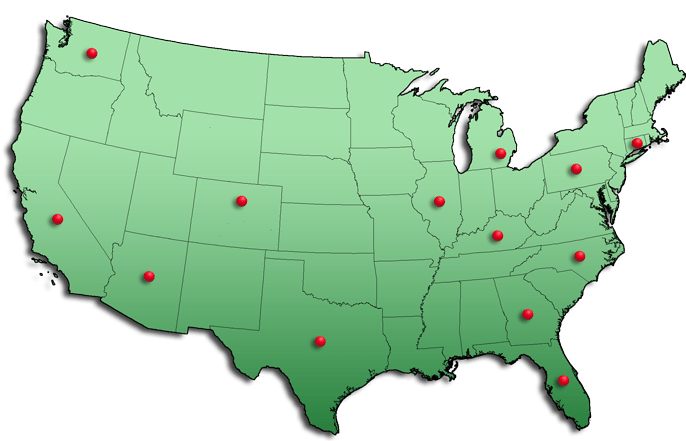 Whether it’s in our shop or on site at your facility, your satisfaction is our mission. We invite you to browse through our website and then either call us at (570) 455-3697 or visit Cicioni at our offices in Hazleton, PA, for more information. Let Cicioni put its experience to work for you! Click the video below to learn about Cicioni Radiator Repair Works.